Tumbbad Movie Review – Really as Good? I recently watched this really strange movie called ‘Tumbbad’ and thought to post this short review. And I am using the word strange here but maybe I should actually call it different; because you don’t really see stuff like this in Bollywood. Everything about this movie is leagues apart from the usual Bollywood Masala. But is it good only because it is different? For some people perhaps and maybe that is why most of the reviews you will read about Tumbbad are all positive; comparing it to Hollywood horror genre. There was this one review that I read that said that Hollywood directors should take tips from Tumbbad? But is it really as good as everyone is saying? Tumbbad is the most ambitious project of actor turned producer Sohum Shah; starring him in lead role. It is the story of how greed drives a person’s action and then how it can ultimately destroy him. I really cannot write any more than this because the overall plot of the movie is very short; and mentioning anything about it would just be a spoiler for anyone who wants to watch it. I am sure very few people would have heard of this movie. I remember seeing it’s poster somewhere but that was just about it. The only reason I watched it is because it was there on Amazon’s Prime Video. 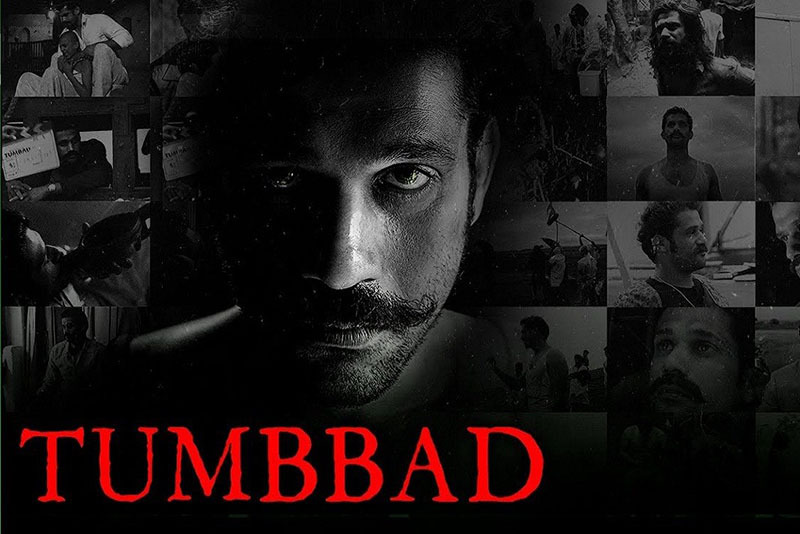 I have the membership and on a weekend, while I was surfing through the list to watch something; I came across the name Tumbbad. The name sounded interesting and the poster was intriguing so I Googled the name. The reviews were all positive calling it an amazing movie so I decided to watch it. The movie has a total run time of about 105 minutes. For the 40 minutes I was with it completely; but then I started to get a bit bored and watched the rest of the one hour by fast forwarding; it just because I wanted to see the ending. I buffered through the one hour of run time in about 10 minutes; and I still understood what happened in the movie without listening to a single dialogue. So am I then saying that the movie is terrible and everyone else is wrong? Definitely not. Everything really. The story of the movie is simply awesome. I am not sure if the mythology they were talking was true or not but the idea was great. It is like one of those folklore stories that you heard when you were a kid; the tales of ghosts and demons that scared you so much. The direction too is superb. They were really able to create that dark atmosphere with all the clouds and constant rains. Cinematography was great and the locations looked stunning. Background score added to the overall tense environment of the movie. The setting of the story if of pre-independence India and the sets looked convincing. CGI were not really outstanding but weren’t bad either. Overall it could have been an outstanding if it wasn’t for just two reasons. Two things; acting and it’s runtime of 105 minutes. I really wish Sohum had chosen better actors for his most ambitious project. He is probably the only good actor in the entire movie; rest all are just annoying as hell including the child actors. The woman who plays the mother is the most annoying. I really turned down my speakers every time she played hysteric because I just couldn’t stand the sound of her over acting. The bad acting really works as a huge turn down in an otherwise very interesting story. Second was the run time. The overall plot of the movie was very short and could easily have been wrapped in less than an hour. The movie opens up great and the initial built up will get you interested. But then it becomes slow and then starts to drag. For a runtime of almost two hours, it needed a bit of more twists and turns. I really wish I could call it a great movie because it is an honest effort by Sohum Shah. Give it a try on a Saturday or Sunday evening and you may actually like it. For me, I liked the story but the bad acting really killed the movie. If you have seen Tumbbad, then please do share your thoughts in the comments section below.